Before I made my way to the Childhood and Nation symposium in Ningbo, I was reading and thinking about topics at once prosaic and fascinating, as a means of naively introducing myself to (a small aspect of) contemporary China. I first heard about the city by way of the design research studio, Unknown Fields Division, who bring scientific and artistic perspectives to bear on various industrial ecologies around the globe. In 2013 and 2014, groups from UFD travelled from the east coast of China inland, following backwards the ‘unmaking of an object’ – from store, to shipping lane, to port, to factory floor, to refinery – through channels of global logistics infrastructure. 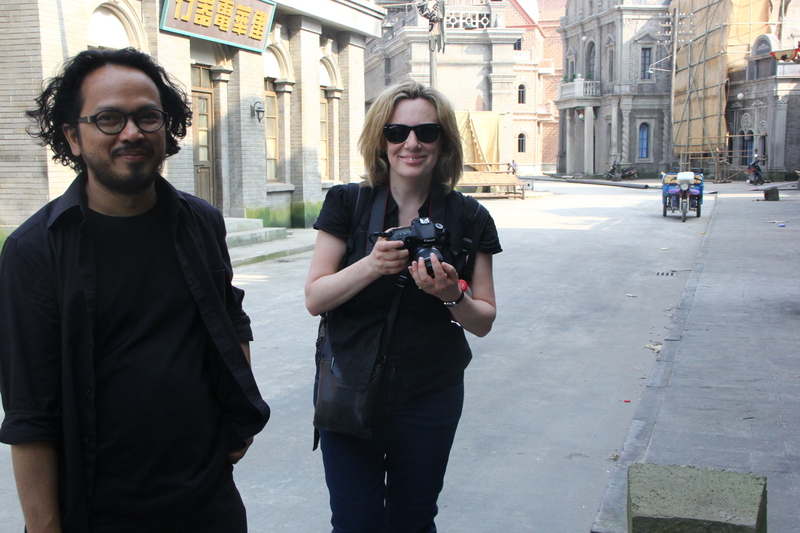 Their work calls to mind the logic of the films of Jia Zhangke, who is attuned to the different stages of the labour process, and in Useless (2007) and 24 City (2008) brings them into productive conversation. 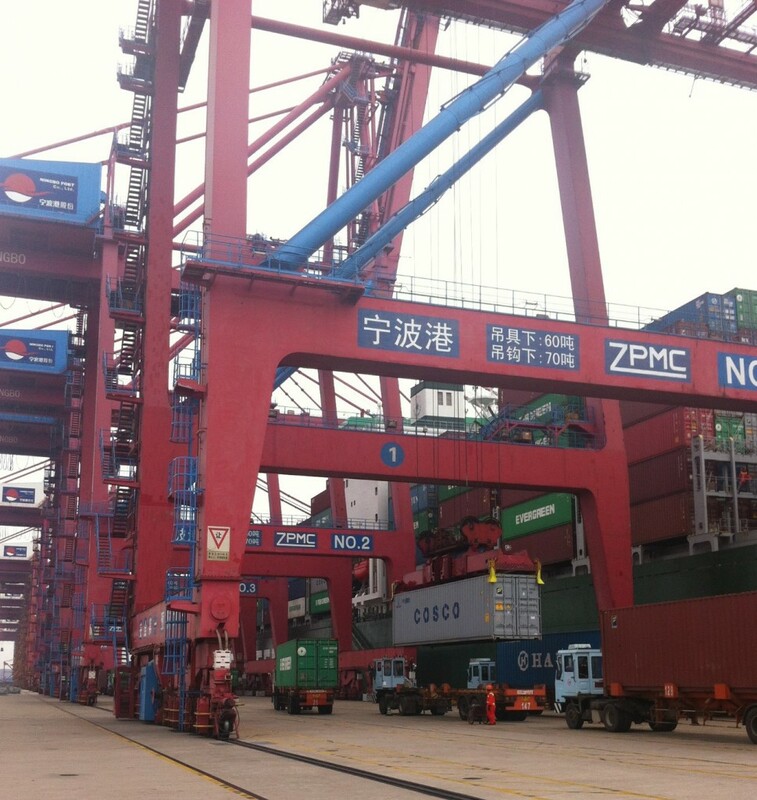 Although impossible to totally conceptualize, such commodity chains are perhaps partly crystallised in Ningbo’s Beilun Port, formerly a crucial point on the Silk Road, and now officially the busiest in the country. Here, where we were lucky enough to be granted access, we observed the loading onto ships of unidentified commodities inside almost identical containers, bound for destinations unknown. Writing on the increasingly uniform and abstract circulation of commodities in containers, Alberto Toscano and Jeff Kinkle also observe that the ‘landscape transformed by logistics, which is to say the social factory as a physical, visible form, is a landscape that appears to signal the becoming concrete of the abstract’. While the sight of almost endless shipyards is a bewildering one, the port also makes tangible what is otherwise only theoretically comprehensible. 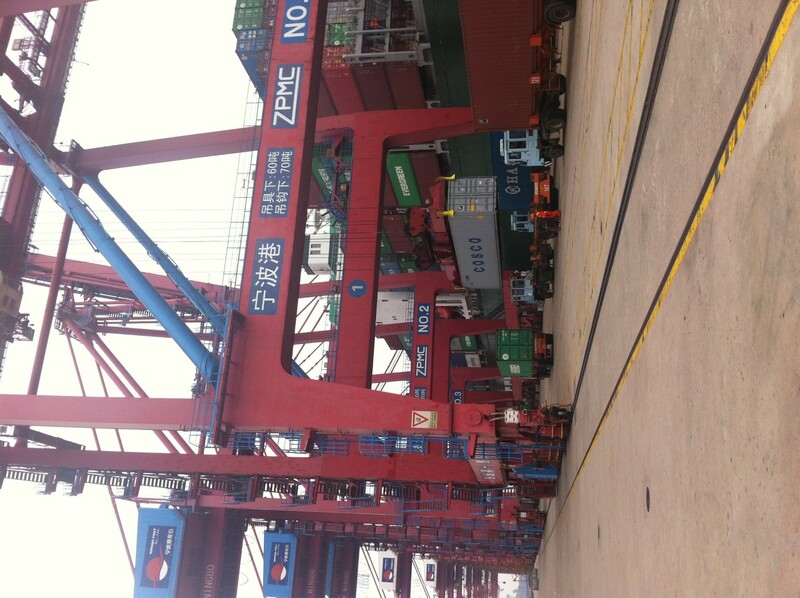 But at the same time, the shipping container is a completely opaque object that conceals its contents (and the production history of those contents) from view, and the port offers little in the way of explaining China’s changing manufacture economy. Ningbo might be renowned for its maritime prowess, but away from the sea, a set of completely different products are being produced for export. From port to countryside is a long way, but the distance between the two also signifies the shift from industrial production and global logistics to the nation’s creative economy: from ‘Made in China’ to ‘Created in China’. 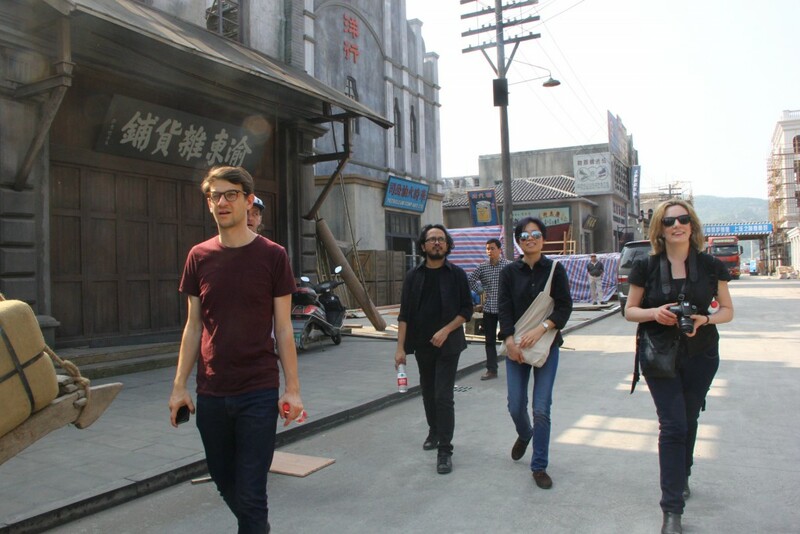 In his research on the future directions of economic growth in the country, Michael Keane has written of the way in which the Chinese cultural sector, forced to overcome a variety of structural problems, has endeavored to compete on the international stage. As Keane points out, a number of potentially innovative creative industries – television, advertising, digital media – are often hampered by excessive political supervision, and the associated safety of sticking with old ideas, instead of pushing forward to explore new imaginative horizons. 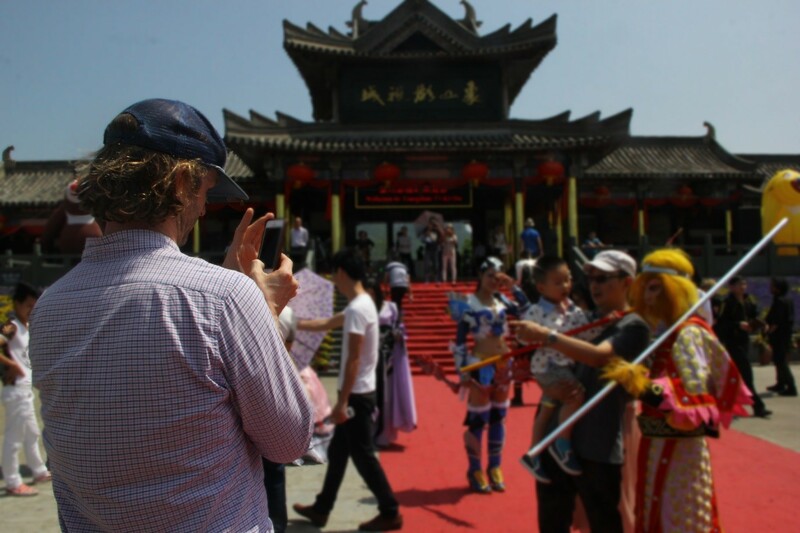 The film industry offers an interesting example of this conundrum, and one that was especially apparent to us while in Ningbo. On the one hand, filmmakers pander to a local market by rehashing traditional Chinese stories, with the surefire stuff of historical costume drama the bread and butter of film production in Zhejiang Province. On the other hand, there are signs that the studios are beginning to reach out to foreign investors, and perhaps willing to broaden their focus by turning to more modern content. 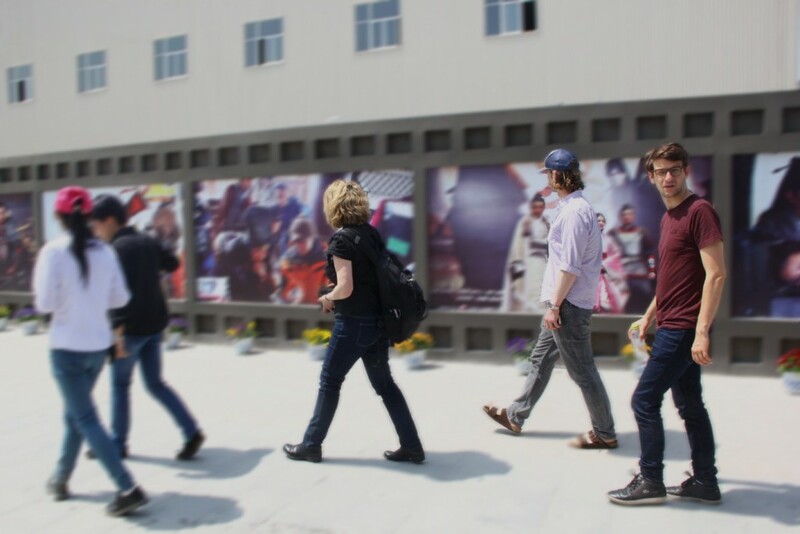 A number of studios in Zhejiang are helping to put the region at the forefront of cultural production. 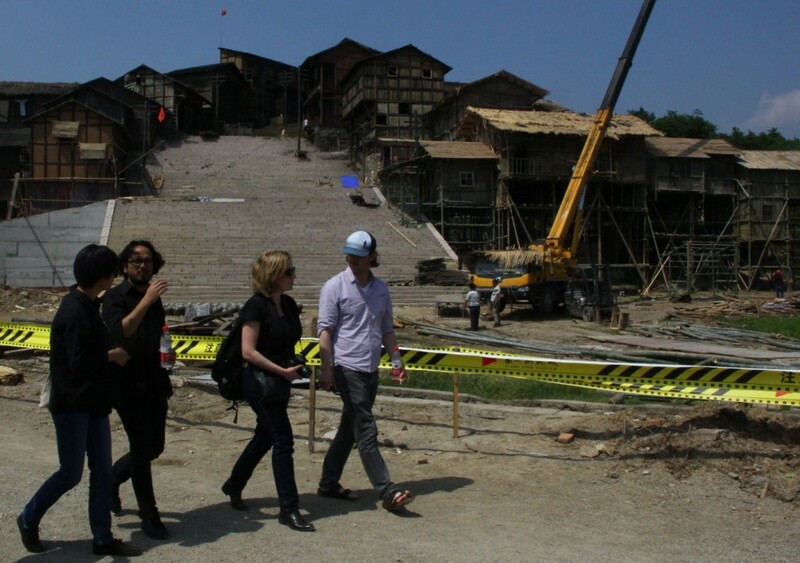 Four hours from Shanghai is Hengdian World Studios, which boasts the largest backlot in the world, and is responsible for Hero (Zhang Yimou, 2002), a hugely successful film at home and abroad: it topped the box office on its opening weekend in the United States. Vying for precedence with Hengdian is Xiangshan Film and Television City, which was established in 2003 and is rising to international fame with some of its recent productions. Located outside of Ningbo, Xiangshan truly earns its “city” moniker, sprawling over one thousand square kilometers, and home to a range of historical dwellings and monuments. Here there are temples, saloons, and tea houses resembling those in the Song Dynasty, as well as alleyways and a drawbridge that show a great attention to detail. In addition to a series of gardens and caves that can be altered for each film shoot, the studio contains a section devoted to the classical Chinese story, Journey to the West. Adding to an already extensive array of screen narratives depicting the adventures of Monkey and his friends, Xiangshan has recently produced its own adaptation for television, a strategy oriented more toward national audiences already familiar with its plot. But for all this attention to the past,there is also a sense that historical Ningbo, a city that dates back almost 7,000 years, is itself absent from the landscape. 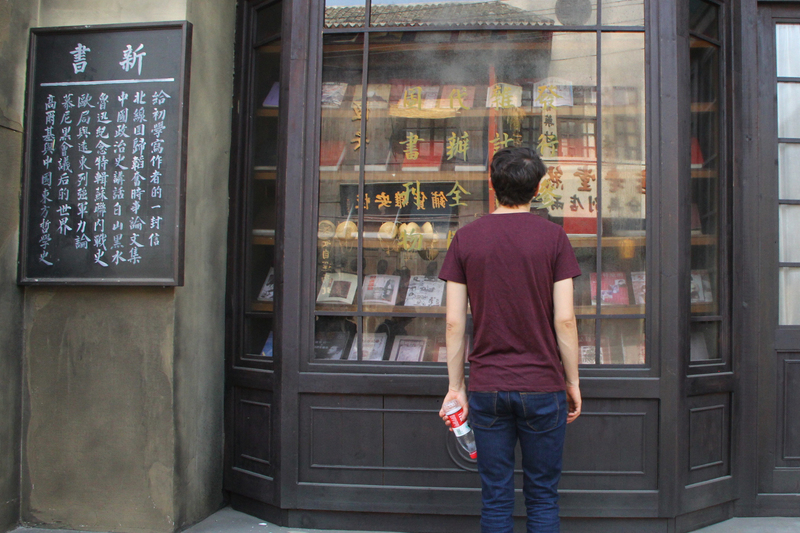 Indeed, there was a certain amount of cognitive dissonance involved for us here: as first-time visitors to China, we explored a convincing, yet completely fabricated, old city; but at the same time, we didn’t lay eyes on any “authentic” buildings in the region. Here at the studio, history is not preserved, but reconstructed. While bearing witness to the construction of ancient villages was a strange experience for us, the park is proving extremely popular with local holidaymakers. Indeed, although Xianghsan is purpose-built for shooting film and television, it also has a significant part to play in the region’s cultural tourism. The city has recently traded on its fame to become an acclaimed venue for wedding photography, but offers attractions for all visitors: costumed entertainers patrolling the grounds, live stunt shows with audience participation, and the chance to rub shoulders with the stars. 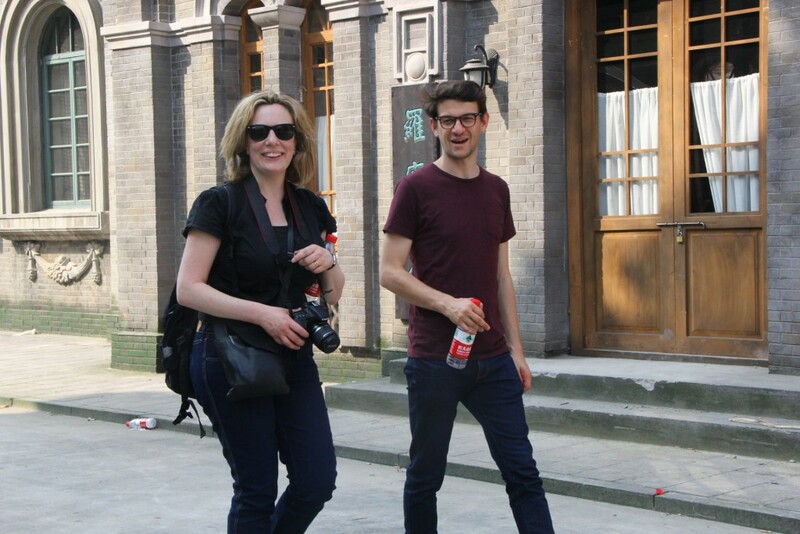 The studio is especially crowded during the public holiday period, when we visited, and sightseers travel here for the opportunity to witness a film under production. 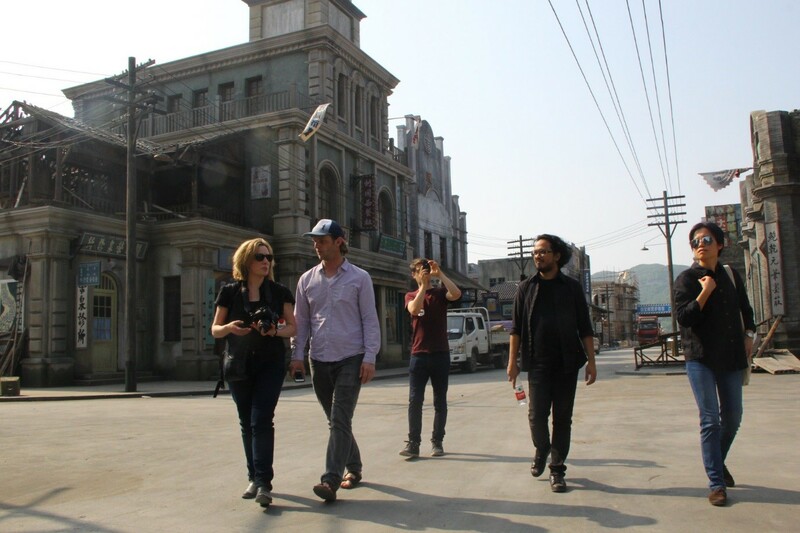 And no sooner had we left Ningbo than shooting began in this section of the lot, on a major new production. The film in question is the historical epic The Bombing (Xiao Feng, 2015), slated for release later this year, with none other than Bruce Willis starring in the lead role, and an entire cityscape has been built for the shoot. Set to be one of China’s most expensive films ever made – possibly even challenging John Woo’s Red Cliff (2009) – The Bombing is about an American volunteer venturing to Chongqing to teach the Chinese pilots how to combat their Japanese enemies during the Second Sino-Japanese War. The plot of the film also allegorises the industry’s recent move to petition the US for funding and industry expertise. Academy Award winners Vilmos Szigmond – cinematographer on Close Encounters of the Third Kind (Steven Spielberg, 1977) – and Richard Anderson – sound editor on Raiders of the Lost Ark (Spielberg, 1981) – are reportedly consulting on the film, and the presence of Willis in China has already encouraged a number of American actors to follow in his footsteps. Perhaps this collaboration with foreign talent and money will also find success in foreign markets? In Zhejiang, where export is key to the economy, it is now possible to see a future in which the container ships leaving Beilun Port are laden with footage of the next Chinese blockbuster. Alberto Toscano and Jeff Kinkle, Cartographies of the Absolute (Zero Books, 2015). See Michael Keane, Created in China: the great new leap forward (New York: Routledge, 2007), p. 5.